by Abbey Mikha — writer and human rights activist. Shlama, ow Shlomo, greetings to you in the dialect of my father, in the dialect of my mother, and in the dialect of the ancient rivers and mountains which my people hailed from time immemorial. To think, to live, to feel Assyrian is not for me an occasional remembrance, it is a passion and a duty. True, we are all human beings, from whatever nation we come from, and true, we are grateful citizens of our countries of adoption, where we try to build a new life with new dreams, but as Assyrians we cannot but carry with us, everywhere we go, the song of our old language, the memory of our lost past, and the pride that kept us alive to this day. The turning point in my life as an Assyrian was when I realized how little known my people are to the outside world, and how fascinating their story is. I marveled at my nation’s instinct for survival, the struggle of an old culture, which defied centuries of foreign rule and refused to surrender. I felt deep injustice, I cried in pain for all Assyrians who, in the last two centuries, were sacrificed in terrible genocides, uprooted from their motherland and forced to err in never ending exile, because they just happened to be there on their ancient land, after so long, and because they still stood, not moving an inch even though they were very different from the peoples around them. I took pride in those Assyrians surrounded by hostile nations who fought against all odds for an independent state in Assyria, and I felt anger when I learned how superpowers such as the English, during the World Wars, gave us promises, which were never fulfilled. I then understood that nobody really cared for our suffering, and that we the young Assyrians, like our forefathers, should proudly keep fighting for our rights, or lose our identity and disappear. I started to feel the pride associated with my Assyrian heritage at a very young age and as I grew older, it grew stronger within me, and as I grew wiser, I realized how important it was for me to carry my people’s name. Being an Assyrian means being united within my nation, and being united within myself. I am very proud to be an Assyrian with heritage from Alqosh, Zerineh in Jilu, and Mardin Tur Abdin, which is one of the main reasons my friend’s call me the United Nations of Assyria. There is an inseparable emotional bond between my nation and I. I accept all of my people, even those who are not well aware of our history, loving all Assyrian communities, singing in eastern and western dialects, traveling in time and space from the clay tablets of Ashurbanipal’s library, below earth, to the ancient monasteries above the mountains, and feeling the pride in being the daughter of a nation which gave birth to the first civilizations of humankind. Today I remembered all Assyrians who fled the homeland, the image of my great grandfather who walked from Turkey to Kiev. Wherever we live, those of us whose ancestors were lucky enough to escape the Genocide share an indestructible thread, which binds us as one, in addition to history, religion, culture and language, the story of our common suffering and of our strife to remain and resurrect again. When I realized that our people, who contributed so much to the world and contributed so much to who I am, had been forgotten, I found my Assyrian turning point. This is when I started to want to prove that Assyrians do exist today, and that I am one of them. At one point in time one of my history teachers told me that Assyrians are extinct, he said there is no such nation, that the ancient Assyrians amalgamated with other cultures, and that we did not survive. Ever since that day I have wanted the Assyrian culture and identity to survive within me, since I knew in my heart and in my mind that he was wrong. This is when I found out that not everything which is written in history books, is true, especially about my people. This is when I understood that truth was relative, and that if we do not stand for who we are, our truth will never be known. 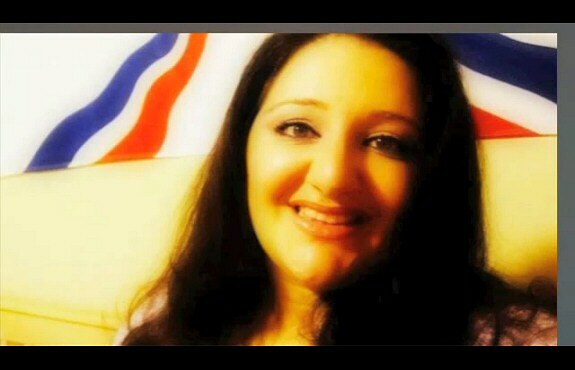 I believe I was born to be Assyrian, and to be proud of being Assyrian. One of my favorite pastimes is to share the Assyrian culture with people who are not from our background: food my mother taught me to cook, songs in our language, stories from long ago like Gilgamesh, Enuma Elish, the Epic of Inanna, and Atra Hasis; tales of kings and shepherds, memories of ancient glory and recent sufferings. I am proud of who we were, and who we are today, and who I am as part of this nation. I will never let anyone deny me the right to call myself Assyrian, and to honor my ancestors and their dreams. Being an Assyrian means to me not only to defy time, but also defying everyone who thinks that our nation did not survive. To be an Assyrian is to know that it does not matter which church we are from, because we are still one nation, one people who speak one language, the same that Jesus Christ spoke. To be an Assyrian means to let everyone in our nation help in the building of our home, a home with a foundation called nothing other than huyada, or huyodo, unity. Our minor differences, as Assyrians from different communities or dialects, are only due to our long history. Instead of fighting, we should accept one another because every one of has something to offer our common home, the Assyrian nation. What I will do to preserve my Assyrian identity is to try to educate myself in whom we were in ancient times, as well as who we are today, and what we need to do in order to survive in the future. An identity can only be preserved through the heart, when people relate to what they are preserving, and when they share true love for their nation. When sincere love exists, the preservation of one’s culture and identity becomes natural, even for Assyrians who never lived in the homeland, and never grew up around their countrymen and countrywomen. How can I not feel pride for a people who survived so many acts of cruelty, and were literally crucified, yet still are living and breathing today on the earth? We, Assyrians, are survivors, and there shall hopefully be Assyrians on Earth till the end of time! Whenever I discuss with fellow Assyrians our situation today, some people mention the theory that because of living in Diaspora, Assyrians will be extinct in a few generations, as will our language, and our culture and heritage. My answer to these thoughts is, and always will be. I was not born in my homeland, I never even grew up around Assyrians, I never even grew up in the Middle East, and if anyone should have lost his or her Assyrian identity, it would be me, but if anyone has found it and kept it, it has also been me. This means the children of Assyria will find their way home, and they will never forget who they are or where they came from. *تنويه : المقالة منشورة في مجلة " نينوى" مجلد 34 عدد 1: الربع الاول – 2011 التي تصدر بلغتين الانكليزية والآشورية . لو أمعنا النظر في صورة الكاتبة آبي ( Abbey ) ; المنشورة مع المقالة لأدركنا انها فتاة في مقتبل العمر . ولدت آبي ونشأت وترعرعت في هذا البلد الحر وتثقفت بثقافته . ومع ذلك فهي لم تفقد هويتها الأصلية وتعتز بانتمائها الى أمة كانت يوماً ذات شأن عظيم . أنا بدوري وتعبيراً عن إعجابي بهذه الفتاة التي تفتخر بأجدادها العظام وبالافكار ألتي تطرحها في مقالتها الجميلة التي تجسد فيها حبها العميق لبني جلدتها قررتُ ترجمة المقالة الى العربية عسى أن يطّلع عليها أولئك "المؤرخون" الذين يزعمون " أن الآشوريين قد انقرضوا وانقرضت معهم لغتهم فيشعرون ولو بقليل من الخجل !! شلاما أو شلومو: أحييكم بلهجة أبي بلهجة أمي بلهجة النهرين التوأمين والجبال التي كان يحيّيها شعبي مع إشراقة شمس الصباح في ألازمنة الموغلة في القدّم . أن أفكر وأحيا وأشعر من الأعماق بانني آشورية ليست مجرد ذكرى تخطر على بالي بين ألفينة وألفينة . إنها عاطفة قوية وواجب وجزء لا يتجزأ من كياني ووجودي . صحيح أننا جميعاً كائنات بشرية بغض النظر عن أصلنا ومهما كان إنتماؤنا القومي . وصحيح أيضاً باننا ينبغي أن نكون مواطنين مخلصين ممتنين وشاكرين للبلدان التي إحتضنتنا ومنحتنا إمتياز المواطنة وحق السعي لبناء حياة جديدة وأن نحلم بالسعادة . لكننا كآشوريين لا يسعنا إلا أن نحمل معنا حيثما نحلّ أو نرتحل الأغنية التي ترنّم بها أجدادنا بلغتنا العريقة وذكرى ماضينا المفقود والاعتزاز بذلك الماضي المجيد الذي أبقانا أحياء الى يومنا هذا . إن نقطة الانعطاف في حياتي كآشورية كانت يوم أدركتُ الحقيقة المهولة ألا وهي ضآلة ما يعرفه العالم الخارجي عن شعبنا وعن ماضيه المتألق المجيد . لقد أدهشتني حقاً غريزة حب البقاء لدى شعبي وصراع ثقافة أصيلة وعريقة تحدّت حكم أجانب محتلين قروناً عديدة وإستطاعت الصمود رافضة الاستسلام. لقد أحسستُ بعمق بفداحة الظلم وألجور المسلطين على شعبي. وبكيتُ بمرارة وألم من أجل كل الآشوريين الذين تعرضوا في القرنين الماضيين الى عمليات إبادة جماعية ومحاولات إستئصالهم من جذورهم وإرغامهم على ترك وطنهم ليهيموا على وجوههم في المنافي البعيدة . لقد عانوا كثيراً من الاهوال والمصائب في وطنهم وهم السكان الاصليون¡ على أيدي أقوام قساة. كل ذلك لانهم كانوا آشوريين يختلفون عن المحتلين في لغتهم ودينهم وثقافتهم. إنني لأفتخر باولئك الآشوريين الأماجد الذين سعوا في ظروف بالغة الصعوبة وهم محاطون بأمم معادية للحصول على نوع من الحكم الذاتي في وطنهم آشور . لقد شعرتُ بالغضب الشديد عندما علمتُ أن القوى العظمى وعلى رأسها بريطانيا خلال الحرب العالمية الأولى قطعت وعوداً كبيرة للآشوريين كحليف قدّم تضحيات جسيمة ولكنها نكثت بتلك العهود وخذلت الآشوريين . ثم أدركتُ الحقيقة المرة وهي أن لا أحد في العالم يهتم بمعاناة الآشوريين قيد أنملة وبأننا نحن الآشوريين من جيل الشباب ينبغي أن نسير على خطى أجدادنا ¡ وان نناضل بفخر من أجل حقوقنا وخلافاً لذلك فاننا سنضيع هويتنا القومية . منذ نعومة أظافري شعرتُ بالفخر المقترن بتراثنا الآشوري وكلما كبرتُ كلما إزداد ذلك الشعور قوة وإزددتُ حكمة وأدركتُ مدى أهمية أن أحمل إسم شعبي وأحافظ عليه. أن أكون آشورية يعني أن أكون متآلفة مع أبناء أمتي ومنسجمة مع نفسي . أنني فخورة جداً بكوني آشورية تمتلك تراثاً من ألقوش ومن جيلو وطور عبدين على حد سواء. وهذا هو واحد من الأسباب التي تجعل صديقاتي يسمينني "أمة آشور الموحدة ". هنالك آصرة وجدانية قوية لا تنفصم عروتها بيني وبين أمتي. أنا أقبل جميع أبناء أمتي حتى أولئك الذين ليسوا واعين تماماً لتأريخنا وتراثنا أحب كل الآشوريين بغض النظر عن مكان إقامتهم أغني أغاني آشورية بلهجتينا الشرقية والغربية على حد سواء متنقلة عبر الزمان والفضاء من الرقم الطينية في مكتبة العاهل الآشوري العظيم آشور بانيبال الى الاديرة القديمة فوق قمم الجبال مفعمة بالفخر بكوني بنت أمة عظيمة أقامت أول حضارة في تاريخ البشرية . اليوم أتذكر أولئك الآشوريين الذين هجّروا من وطنهم قسراً أتخيل صورة والد جدي الذي سار على القدمين في رحلته الشاقة الطويلة من تركيا الى كييف فروسيا !! هناك خيط لا ينقطع يشدنا الى بعضنا نحن الآشوريين الذين حالف الحظ أجدادهم في النجاة من سيف الجلادين في الأبادة الجماعية فضلاً عن التاريخ المشترك الدين الثقافة واللغة والمعاناة المشتركة ونضالنا من أجل البقاء ورجائنا في مستقبل مشرق . لقد كانت نقطة التحول في حياتي كآشورية يوم أدركتُ بان شعبي الذي أسهم إسهاماً مجيداً في بناء الحضارة وقدّم للعالم الشئ الكثير قد نسيهُ العالم. ومنذ ذلك اليوم شعرتُ برغبة قوية في أن أثبت للعالم بان الآشوريين ما زالوا موجودين حتى اليوم وأن كاتبة هذه السطور هي واحدة منهم . ذات يوم قال أحد أساتذتي وهو يدرّس التأريخ بأن الآشوريين قد أنقرضوا وليس هناك اليوم أمة آشورية. وأردف قائلاً: " إن الآشوريين القدامى قد إندمجوا في ثقافات أخرى ولم يعد لهم وجود." لقد آلمني ذلك كثيراً . لقد أدركتُ أن أستاذي كان مخطئاً تماماً. ومنذ ذلك اليوم إزددتُ تعلقاً بهويتي وثقافتي الآشوريتين. لقد أيقنتُ أن ليس كل ما هو مكتوب في كتب التأريخ صحيحاً وخصوصاً ما كتب عن شعبي. كما أدركتُ أن الحقائق نسبية وباننا - نحن الآشوريين- إن لم ندافع بقوة عن حقيقة مَن نحنُ ونقاوم الافكار المضلّة فان حقيقتنا ستظل مجهولة . أنا أؤمن من أعماق قلبي بانني وُلدتُ آشورية وأنا فخورة بذلك. إن واحدة من تسلياتي المفضلة هي أن أشاطر الثقافة الآشورية مع أناس ليسوا من خلفيتنا فأحدثهم عن الأكلات التي علمتني أمي كيف أطبخها عن الأغاني والترانيم التي نلهح بها في لغتنا عن قصص الماضي السحيقlعن ملحمة كلكامش عن قصة الخلق عن نزول عشتار الى العالم السفلي قصص الملوك والرعاة ذكريات المجد التليد وعن معاناة وعذابات الحاضر. أنا فخورة بماضي أمتي وبحاضرها وبكونني سليلة أولئك الأجداد النبلاء ولن أدع أحداً كائناً من كان أن ينكرني حقي في أن أسمي نفسي آشورية وأن أجلّ أجدادي وأقدر أحلامهم . أن أكون آشورية في نظري لا يعني أن أتحدى الزمن فحسب بل أن أتحدى كلِّ مَن ينكر أن أمتي الآشورية لها وجود. أن تكون آشورياً هو أن تشعر بالانتماء الى هذه الامة بغض النظر عن الكنيسة التي تنتمي اليها. إن إنتماءَنا الى هذه الكنيسة أو تلك لا يغير من الامر شيئاً. فنحن أمة واحدة وشعب واحد يتكلم لغة واحدة اللغة التي تكلم بها يسوع المسيح . أن تكون آشورياً يعني أن نجعل كل فرد ينتمي الى هذه الأمة يساهم في بناء بيتنا بيت مشيّد على أساس قوي هو (خويادا) أو (حويودو)الاتحاد. إن إختلاف أماكن تواجدنا كآشوريين واختلاف لهجاتنا هي أمور ثانوية تعزى الى الظروف المعقدة التي مرّ بها شعبنا عبر تاريخه الطويل. فبدلاً من أن نتخاصم علينا أن نتآلف وأن يقبل بعضنا بعضاً لان بمقدور كل واحد منا أن يقدّم شيئاً لبيتنا الآشوري والأمة الآشورية . أن ما ينبغي أن نفعله من أجل الحفاظ على هويتنا الآشورية هو أن نسعى جاهدين لتثقيف أنفسنا لمعرفة من كان أجدادنا في الأزمنة القديمة فضلاً عن معرفة من نحن اليوم وماذا يتعين علينا فعله من أجل ضمان بقائنا في المستقبل. إن الهوية يمكن الأحتفاظ بها من خلال القلب فحسب أي أن يكون الناس على صلة بما يريدون الأحتفاظ به. ويتقاسمون جميعاً الحب الحقيقي لأمتهم . عندما يكون هناك حب حقيقي فان الرغبة بالاحتفاظ بالثقافة والهوية القومية تصير شيئاً طبيعياً حتى لدى الآشوريين الذين لم يسكنوا في وطنهم قط ولم ينشأوا ويترعرعوا بين ظهراني أبناء جلدتهم . كيف يكون بمقدوري ألا أشعر بالفخر بانتمائي الى شعب إستطاع أن يحافظ على وجوده رغم كل أعمال القسوة والاضطهاد والمذابح التي تعرض لها طيلة قرون عديدة وصمد وما زال الى يومنا هذا على قيد الحياة ويتنفس على ظهر البسيطة. أجل نحن الآشوريون باقون وسيكون هناك آشوريون في هذا العالم حتى نهاية الأزمنة. كلما أناقش مع مواطنيّ وضع الآشوريين اليوم يشير بعضهم الى النظرية القائلة بان العيش في الشتات سيؤدي الى انقراض أو ذوبان الآشوريين خلال أجيال قليلة ومعهم ستتلاشى لغتهم وثقافتهم وتراثهم . إن ردّي على مثل هذه الآراء هو الآن وسيبقى كذلك دوماً كالاتي: " أنا لم أولد في الوطن الام ولم أنشاً وأترعرع بين الآشوريين او في منطقة الشرق الأوسط فان كان ثمة شخص كان يتحتم عليه أن يفقد هويته هو أنا لكن هذا لم يحدث. وفي الوقت ذاته إن كان ثمة مَن اكتشف هويته وعقد العزم على صونها فان ذلك الشخص هو أنا أيضاً. وهذا إن دلّ على شئ فانه يدل على أن أبناء آشور سيجدون طريقهم ذات يوم الى موطن آبائهم وأجدادهم وإنهم لن ينسوا أبداً مَن هم ومِن أين أتوا " . وللأستماع ألى ألمقالة بأللغة ألأنكَليزية بصوت ألكاتبة تجدونها على ألرابط ألتالي من موقع أليوتيوب . Abbey Mikha — an Assyrian writer and human rights activist.